A & B Sanitation offers comprehensive services geared toward the proper management of waste water, including Aeration Septic, septic tank cleaning, septic tank pumping and grease trap cleaning. With an impressive amount of experience unclogging pipes and ensuring pipes and lines are running efficiently, we remain one of the area’s most trusted experts. Our experts at A & B Sanitation are always courteous, dependable, and friendly; no matter when your issues arise. 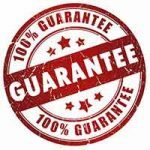 We value the satisfaction of all our existing customers and are always happy to speak with prospective customers to provide more information or a quote for our services. There are basically four types of septic sytems. Not all homeowners are free to choose from all four types because local codes may not allow conventional systems to be installed where soil absorbtion or drainfield space is limited. In addition, each has its own advantages and disadvantages. Most localities require an engineer to perform a site evaluation. The results of this evaluation will determine the homeowners options. 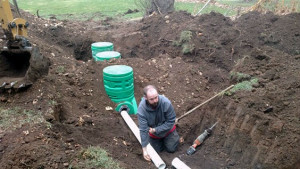 Different systems require more or less frequent attention by the owner, others require more frequent maintenance by septic system professionals. Installation costs also vary by type, so there is much to consider when choosing the system that’s best for you.